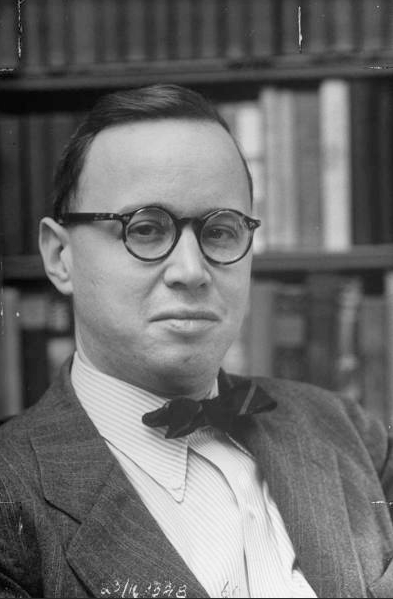 Nattiness Personified: Arthur Schlesinger, Jr.
One of the leading candidates for “Nattiest Dresser of the 20th Century” might well be Arthur Schlesinger, Jr. He graduated from Phillips Exeter, perhaps the most elite prep school in America. He was also an alumnus of Harvard, serving on the faculty there before going to work for the Kennedy administration in 1961. Designated as Special Assistant to the President, he functioned as a roving intellectual in the White House, advising Kennedy on a number of matters, particularly Latin American affairs. Schlesinger was rarely seen without his trademark bow tie and P3 tortoiseshell glasses. This entry was posted in Bow Ties, JFK, Kennedy and tagged Arthur Schlesinger, Bow Tie, Harvard University, Natty Dresser, P3, Philips Exeter Academy, President Kennedy, Tortoiseshell Glasses by anasazi. Bookmark the permalink.